Van shopping in the Westport area doesn’t have to be difficult. 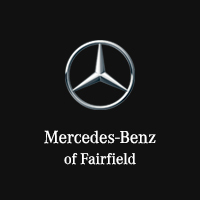 At Mercedes-Benz of Fairfield, we have a wide variety of Metris vans in stock. From a strong performance and advanced integrated technology to a customizable interior to make all work endeavors more pleasant and convenient, the Metris has everything you need. Our sales team is standing by to get you behind the wheel of the model that best suits your budget and driving needs, and we always have rotating vehicle specials to make the car-buying, or leasing, process that much less stressful. Comes equipped with: Bumpers Painted In Vehicle Color, Cruise Control, Electrical Sliding Door Package, Heated & Electrically Adjustable Exterior Mirrors, Lift-Up Tailgate with Premium Trim. Comes equipped with: Driver Comfort Package, Electrical Sliding Door Package, Enhanced Ac Package, Heated & Electrically Adjustable Exterior Mirrors, Multi-Function Steering/Premium Display Package, Premium Overhead Control Panel. When you’re ready to take your Norwalk work commute to the next level, stop by Mercedes-Benz of Fairfield to pursue the Mercedes-Benz Metris vans for sale in Fairfield, CT! Contact us today, and learn more about other Mercedes-Benz vans, like the Sprinter Cargo Van vs. Sprinter Passenger Van, or the Mercedes-Benz Sprinter vs. Metris.